Products/Services - David D. Snell Building Services Ltd.David D. Snell Building Services Ltd.
David D. Snell Building Services Ltd. specializes in a variety of windows that will reduce your energy costs, provide additional security and give your home a fresh new look. These days, windows just aren’t what they used to be, and that’s a good thing! Today’s beautifully designed windows come in a wider variety of designs, shapes and sizes. The refined materials and improved details in our windows not only provide access to fresh air and light, they also provide more control at your fingertips and enhanced security levels. David Snell Building Services Ltd. is Window Wise Certified. Window Wise is a replacement window quality assurance program designed to give homeowners peace of mind that their investment in window replacement will be a lasting one. They approve window replacement manufacturers and certify window installation contractors. Vinyl Window Designs Ltd. is an international, multi-million dollar facility offering leading edge energy efficient products as well as a range of new product concepts to meet the needs of homeowners. In 2006, Vinyl Window Design Ltd. was the proud recipient of the Energy Star Manufacturer of the Year Award for manufacturing high efficiency windows. Visit 17 Reasons Why you should buy Vinyl Window Designs to find out more. We offer a complete line of steel, fiberglass and wood doors. Our entry way doors, patio doors, aluminum doors and garage doors provide energy efficiency and added security while improving the overall appearance of your home. Clopay Building Products Company is the nation’s largest manufacturer of residential garage doors and a leading supplier of industrial and commercial sectional doors. All of our products are backed by the finest warranties in the industry. Click here to view Clopay’s Door Imagination System to design your own garage door! York Aluminum Storms Ltd. is an innovative leader in the manufacturing of custom and standard sized aluminum storm doors, screen doors, porch enclosures, entrance enclosures and storm windows, providing year round versatility, beauty and comfort. Canadian made York Aluminum’s products are designed and manufactured to suite our climate. Trimlite proudly introduces “Medallions” to the door industry. Available in the Hastings and Salerno product lines, these medallion designs will enhance your front entrance. Trimlite has worked for 25 years to bring distinctive looks to North American homes. We hope that you share our excitement and discover a design that suits your taste. Creating a welcoming entrance has never been easier. Richardson Doors are made from steel, wood or fiberglass. Or, if you’re shopping for a new storm door, you can choose from a variety of selections including full view and self-storing models. Verre Select distinguishes itself from their competitors by the originality of their designs and the variety of their products: stained glass, silkscreen, v-grooved, 3D glass and bevelled pane. They sculpt the glass for you, and their shower doors in slump glass and the decorative accessories are unique and conceived by experts, for you. Verre creates products with exceptional standards according to your needs. Founded in 1982, Novatech’s evolution from a local supplier to a North American leader continues to accelerate. Its evolution can be linked to its corporate objective: to allow its customers to attain a competitive advantage by offering them a wide variety of high quality products at an affordable price. 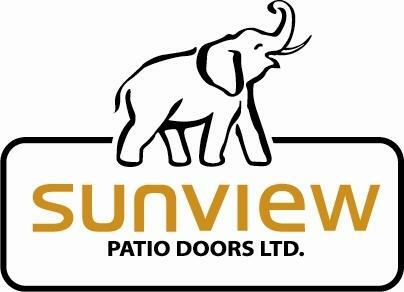 Sunview Patio Doors Ltd. is one of North America’s leading patio door manufacturers. They are committed to providing clients with products that they can confidently market to their consumers, along with the knowledge that they have supplied their clients with a competitively priced, high quality product. By investing in proper home finishings you can reduce your energy costs and help to provide protection from snow, rain and wind as well as blistering, flaking or peeling. Siding, soffit, fascia and eavestrough come in a wide variety of distinctive colours and designer looks. You will appreciate the benefits of investing in your home for many years to come and the increased value of your home when it comes time to sell.